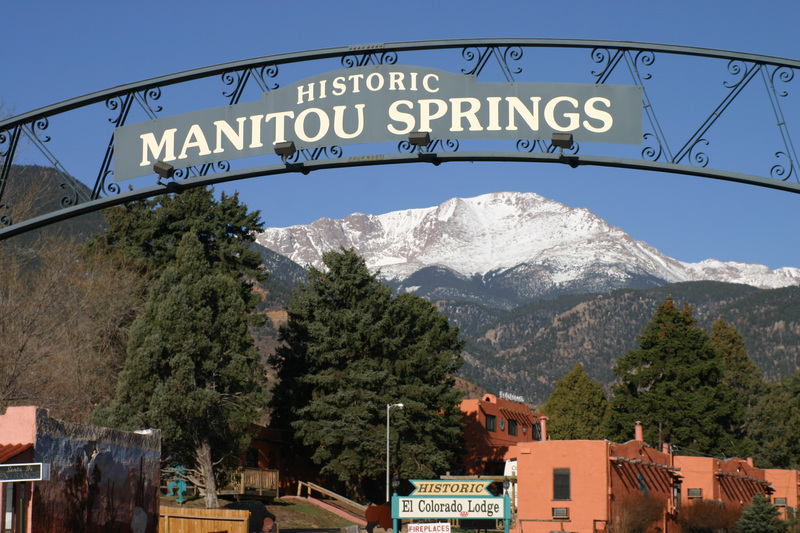 Manitou Springs is a resort city, west of downtown Colorado Springs. Known for its mineral springs and mountain landscapes, it sits at the base of Pikes Peak. The 1880s Pikes Peak Cog Railway runs up the mountain, along pine forests and rugged canyons. Hundreds of steps lead up a steep slope on the Manitou Incline Trail. The Manitou Cliff Dwellings are a group of reassembled ancient cliff structures. The Historic Downtown Manitou Springs is an artist’s enclave featuring time-honored art galleries, street performers, creek-side restaurants and boutique stores. Enjoy a free concert at the town’s central Soda Springs Park, or take the kids fishing at Schryver Park, a shady oasis with an indoor pool, picnic area and stocked pond. Ride a zip line over a canyon, watch a hilarious show while enjoying a tasty dinner or shop in Colorado’s largest art gallery.